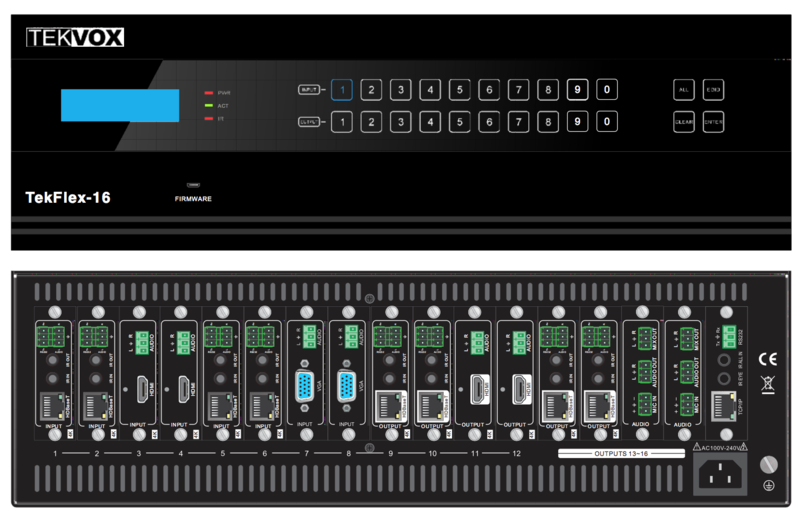 TEKVOX introduces a new way of thinking about matrix switchers by replacing inputs and outputs with slots. No longer are you limited by the number of inputs and outputs or the type of connection. TEKVOX gives the power back to you to pick and choose. Just pick the input and output cards you need and plug them into whatever slot you choose. Need 12 inputs and 4 outputs or 1 input and 15 outputs, no problem just pick and choose. The new TekFlex-16 is ideal for videoconferencing and lecture capture by supplying seamless switching and adjustable resolutions for each output.